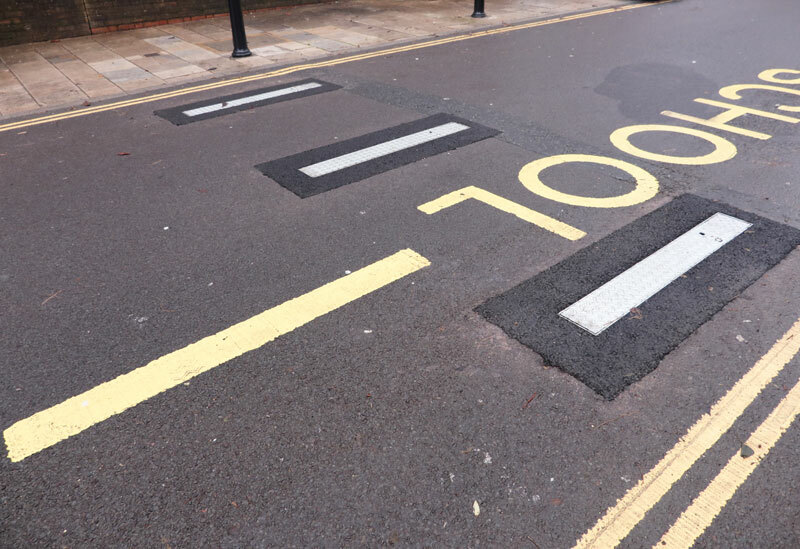 Temporary bollards outside a primary school in Southampton have been installed in a bid to improve air quality and cut traffic. 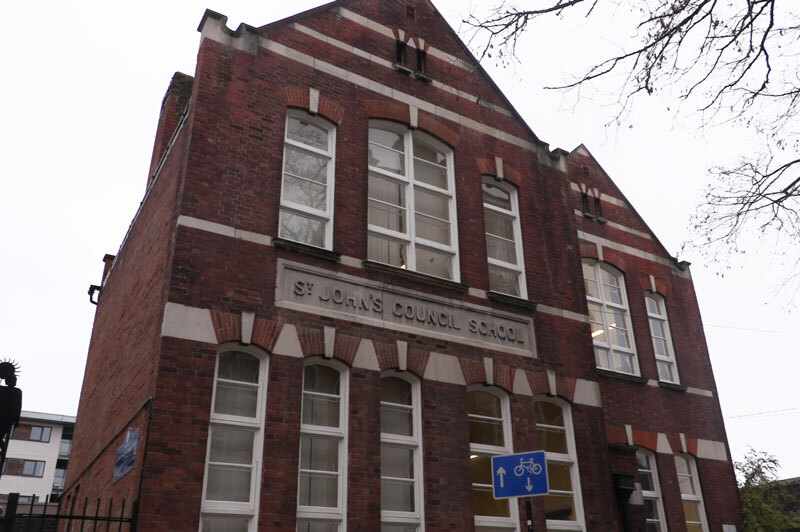 Parents, as well as commuters, can no longer travel down a section of French Street during drop-off and pick-up times at St John’s Primary and Nursery School. The bollards were first put up on November 26. They are the first of its kind in the city, as well as outside of the London area. The new bollards have been introduced for a trial period. Enforced by “coffin” bollards, the closure will operate from 8:15am – 9am and 2.45pm-3:30pm every weekday during term time. It will be carried out on a trial basis and could be rolled out to other schools if it’s successful. 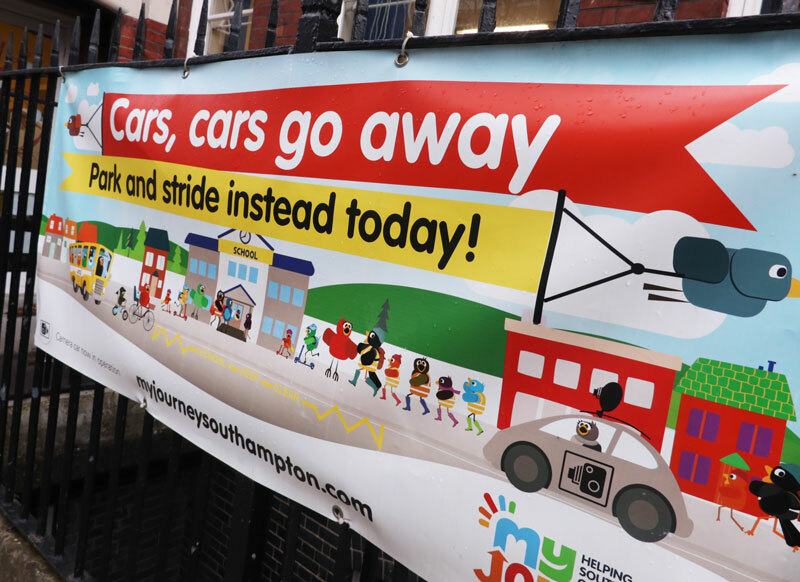 Partnering with Southampton City Council, the school says it wants to address the risk of traffic at peak times in order to give pupils and parents the confidence to use active travel such as cycling or walking on the school run. Free bike checks and ‘try a bike’ sessions were on offer at the scheme’s launch event, which saw parents and children able to learn more about sustainable travel methods. This is the schools latest tackle to decrease air pollution, and to encourage active travel on the school run. 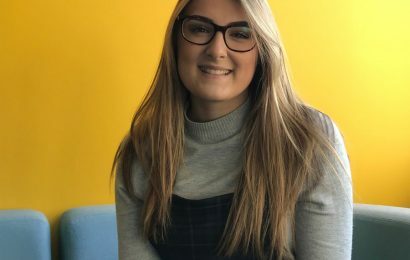 This follows some pupils’ earlier appearances this year at an event called “Clean Air Day” where they entertained crowds with a ‘Clean Air Dance’. St John’s Primary is the first school in the city to have these bollards. We spoke to travel school champion, Jane Harris who was instrumental in the setting up and planning of this project, to see what her thoughts were on the bollards.